Join us in celebrating a season of music and events that honor our storied legacy and rich history championing new masterpieces. 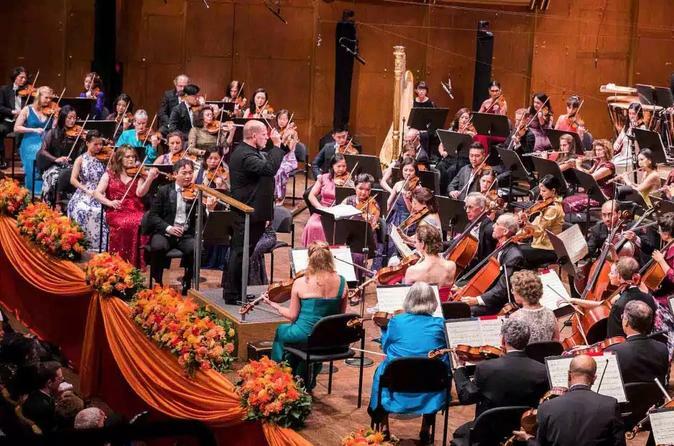 The New York Philharmonic’s 2018–19 season celebrates the Philharmonic’s greatest strengths and essential commitments while looking to the future as an innovative, global ensemble, spotlighting its musicians and partners, dedication to new music, wide-ranging repertoire, education programs, and accessibility. This season Jaap van Zweden serves as Music Director Designate of the New York Philharmonic. He becomes Music Director in the 2018–19 season, succeeding musical leader Alan Gilbert (2009–17). Welcome to the New York Philharmonic, and the world of classical music. Founded in 1842, the New York Philharmonic is the oldest symphony orchestra in the United States. The New York Philharmonic plays a leading cultural role in New York City, the United States, and the world. An experience at the New York Philharmonic can open new doors and create memories for a lifetime. View the Itinerary section below for a list of events this season. Please click on 'View additional info' for the David Geffen Hall seating chart.